The Duke and Duchess of Sussex were at Villa Oleandra. Prince Harry and bride Meghan Markle have reportedly enjoyed a secret getaway with George and Amal Clooney at A-list couple's exclusive Italian retreat on Lake Como. Local police helped to mount a huge operation to ensure the Royal newlyweds remained secure during their visit to the 18th century Villa Oleandra, according to media reports in Italy. Clooney and human rights barrister wife Amal, who were among stars at the couple's May wedding in Windsor, were at the villa with 10-month-old twins Alexander and Ella. The Duke and Duchess and the Clooneys are understood to be close friends and Meghan and Amal are both said to use celebrity stylist Miguel Perez. The Clooneys were among the 200 guests who partied the night away at Frogmore House to celebrate the Duke and Duchess of Sussex's wedding earlier this year. Hollywood heartthrob George is said to have danced with Meghan at the reception. Speculation continues that Meghan is planning on flying to California to meet Meghan's mother, Doria Ragland, who is believed to be on the verge of moving to England to be near her actress daughter. Meghan, 37, is said to have no plans to see her father, Thomas Markle, who lives just 150-miles away from Doria. Mr Markle, 74, has given a string of interviews criticising royals in recent months and says he has been 'frozen out' by the Royal Family, who he's likened to Scientologists. 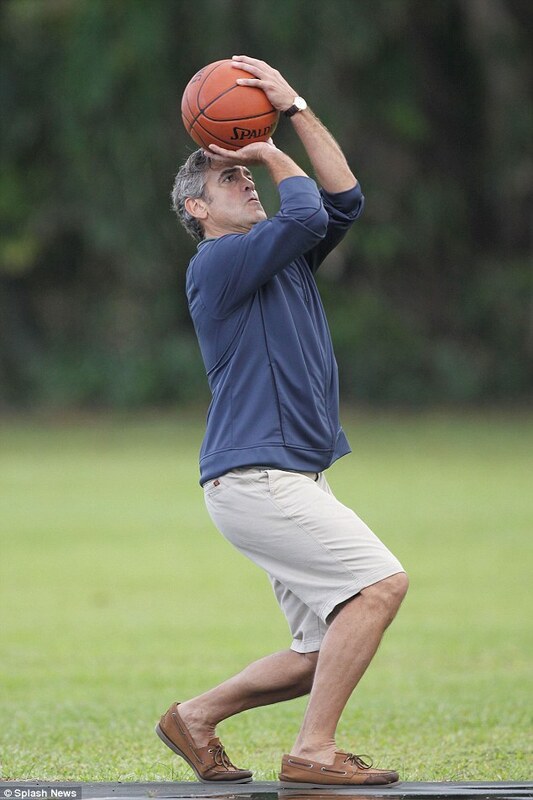 Clooney, 57, fell in love with Italy and purchased the villa, located in the village of Laglio, in 2002. At the time, the actor paid £10million (€11.7 million) for Villa Oleandra which came with 25 rooms, an outdoor theater, a swimming pool and a garage to house all of his motorcycles. The luxurious estate also has a tennis court, a full gym, landscaped gardens, ornately carved ceilings, massive bathrooms, a separate 'pizza room', and an amazing constructed wall to keep the lake from pouring directly into the house. Lake Como is known for its expensive celebrity homes and one of Clooney's neighbours is celebrity fashion designer Donatella Versace. The presence of Clooney led to the local council approving an ad hoc regulation to protect Hollywood star's privacy. Clooney is known for sharing his multiple luxury homes around the world with friends during special occasions. Last summer, David Beckham stayed in his villa with his family. A spokesman for Prince Harry declined to comment on the reports. 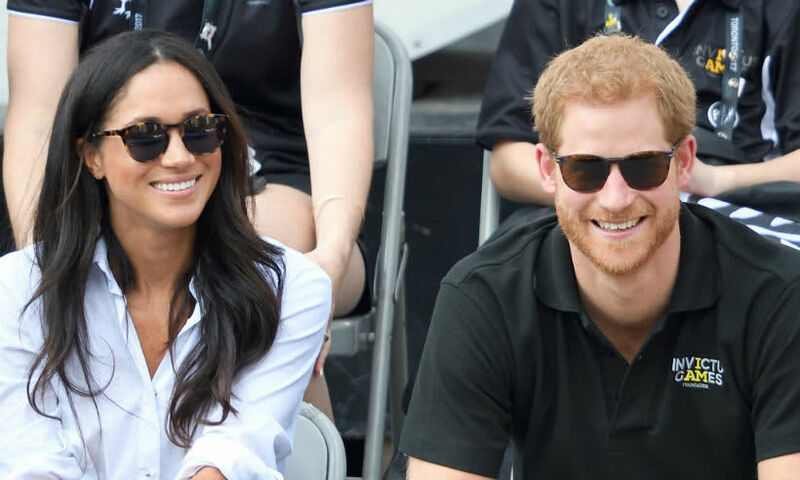 The Duke and Duchess of Sussex have been enjoying some time off royal duties over the past few weeks, and it sounds like they have had a very nice time! 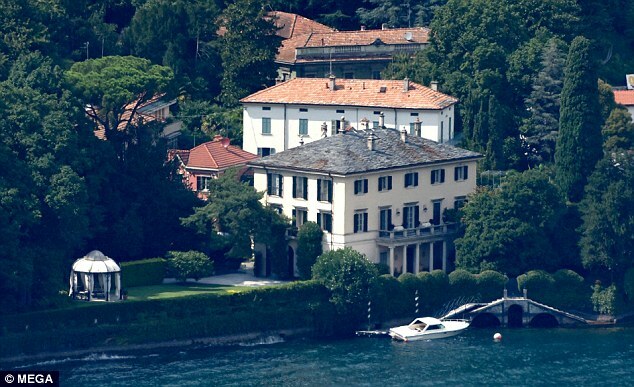 According to reports, the newly-weds jetted off to Lake Como with their good friends, George and Amal Clooney. Italian magazine Chi reports that the couple have been staying at the celebrity couple's exclusive retreat, and Meghan even helped to look after their 10-month-old twins Alexander and Ella, while Harry spent time with George playing sports games, including basketball. It was reported that Harry and Meghan arrived in Italy on Thursday evening, and left on Sunday. Kensington Palace had no comment. Royal fans will next see Harry and Meghan out in public on Wednesday 29 August. 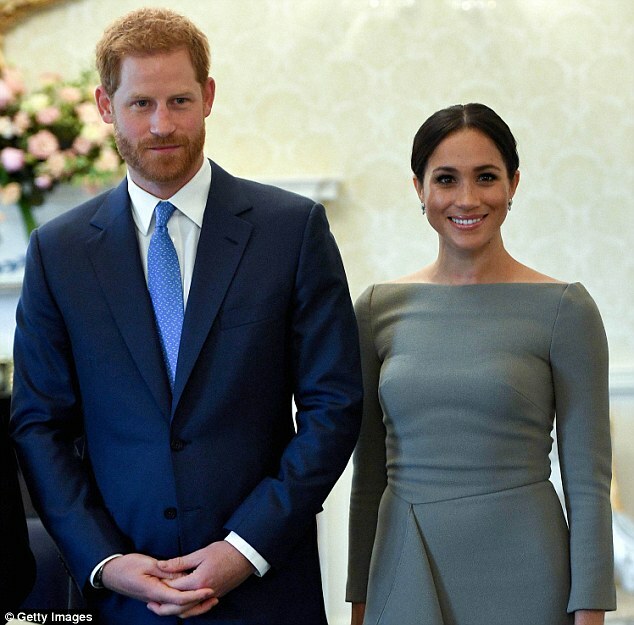 The couple will attend a gala performance of the smash hit West End musical Hamilton, in support of the Sentebale charity, of which Harry is a patron, with Kensington Palace announcing the news in a statement on Monday. It read: "The evening will raise awareness and funds for Sentebale's work with children and young people affected by HIV in southern Africa. 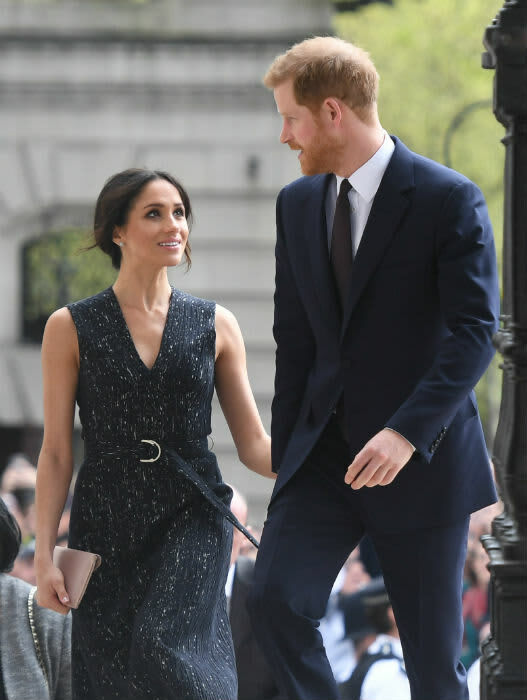 Over the course of the evening, Their Royal Highnesses will meet representatives from Sentebale and Hamilton, including members of the cast and crew. At the conclusion of the show both The Duke of Sussex and Lin-Manuel Miranda, who wrote the show's book, music, and lyrics, will address the audience." Before they return to work, it is thought that Harry and Meghan will also take a visit to Balmoral to visit the Queen and Prince Philip during their traditional break in Scotland. The royal couple travelled there last month, and have been joined by many members of their family over the past few weeks. On Sunday, they were spotted arriving to the local church in Crathie with Mike and Zara Tindall, Prince Edward, Sophie Wessex and their daughter Lady Louise Windsor, as well as the Duchess of Cornwall. The fail will never get it right the twins are not 10 month's old. How about they spent the weekend with friends at their home and not on a mini moon. As the saying goes, when in Lake Como, vacation with the Clooneys. Ok, so that's not exactly the saying, but for Prince Harryand Meghan Markle, that's just one of the perks that come with being friends with Hollywood royalty. According to reports , the real-life royals enjoyed an extended weekend away with the A-list pair at their waterfront villa in Lake Como, where the family of four spends most of their summers together. Per a report from Good Morning America , the Oscar winner flew the newly married couple to the Lombardy area of Italy on his private jet and they landed on Thursday. From the tarmac, the couple reportedly traveled by motorcade to the house with protection officers. As for what the group of four did during their days, GMA reported the ladies enjoyed time by the pool and played with the couple's twin daughter and son, Ella and Alexander , while George and Harry played basketball together with other friends and checked out the actor's motorcycle collection. Considering the Money Monster is known to be a hospitable host, it comes as no surprise that the star reportedly hosted a dinner for their many guests catered by his favorite local chef. showed up in their wedding best —an indication that the two pairs had become close friends. As a palace source previously revealed to E! News, Harry and George have been friends for more than two years after meeting at a private charity function in the United Kingdom. As his romance with Markle ramped up, the Duke of Sussex introduced the former Suits star to George and Amal and the couple began hanging out regularly, considering they all have homes in England. They often would meet up at the Clooneys' house in Sonning and also dined in London together, where Harry's Kensington Palace apartment is. As the source noted, "They all have a lot in common, so it just clicked as a four." Should the the duke and duchess visit Markle's native California sometime soon, we have a feeling the star's Los Angeles home would be a stop on that trip. We now know why they were invited to the wedding, they are friends of Harry and Meghan. 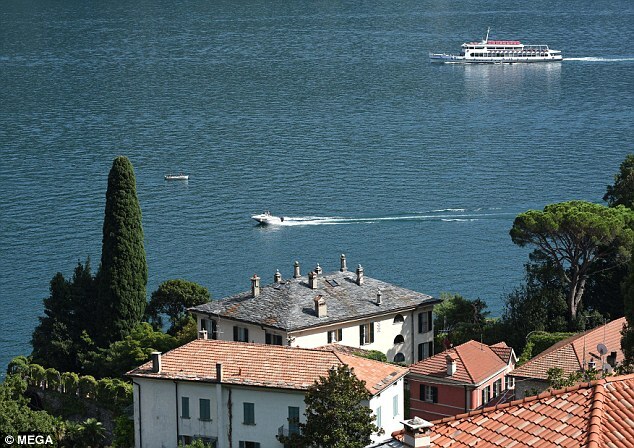 Here's another article - but when an article describes Lake Como as a town you can be sure at least half of the rest of it is likely to be creative writing! I’m just amazed that Harry and Meghan arrived and departed before the media found out. The preparation must have been staggering - but something the royal protection officers are used to day in day out - this must have been a doddle for them after the Royal Wedding! I've just been joking with a friend out there and checking if she was on the guest list!? Interesting that George has gone from movie star to "businessman". A result of the Forbes article? LizzyNY wrote: Interesting that George has gone from movie star to "businessman". A result of the Forbes article? I really think they work hand and hand. Yes, they go hand in hand. I was referring to the way he was characterized in the article. The media use many terms to refer to him, but this is the first time I can remember that they called him a businessman.